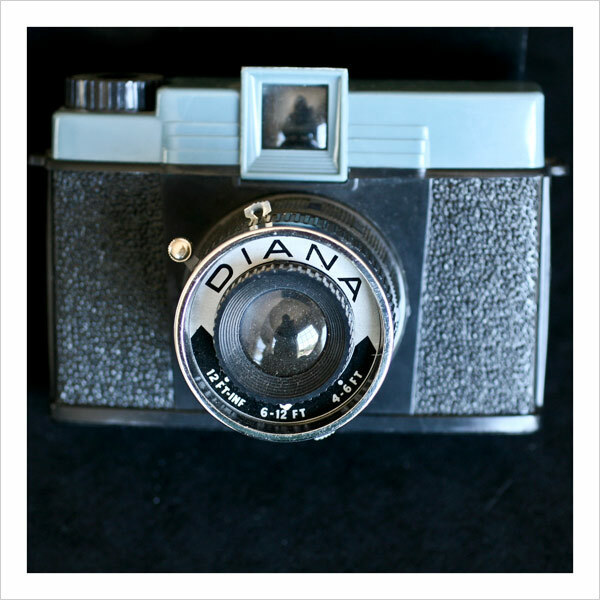 The Diana camera was originally produced in the 1960s as an inexpensive camera given away, usually, as a promotional item. The camera is made of plastic and takes size 120 film. The lens is made of plastic, so the camera produces images that are not always in focus, giving the images a specific look. Lomography now produces a replica of this camera called the Diana+. Why I love the Diana camera can sometimes be difficult to explain. I see an image shot with one and I just fall in love. 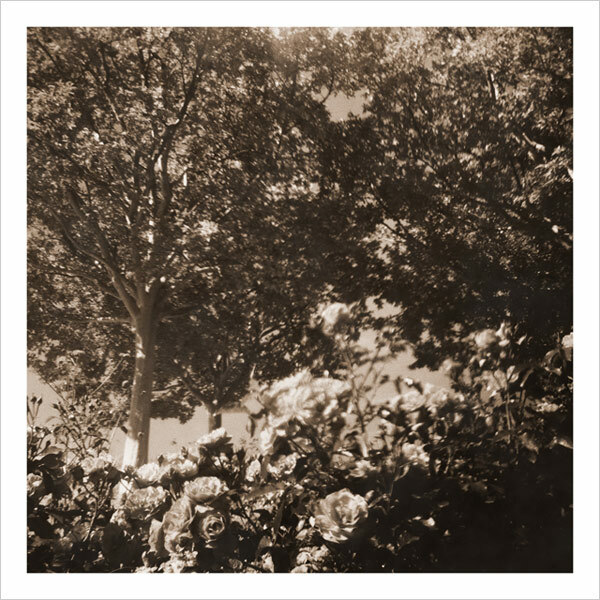 Maybe it’s the vignetting of the image, or that parts of the image are out of focus, giving the shot a sort of mysterious feel, or maybe it’s the square negative. All I really know is that I love shooting with the camera. But take a look at these moody and mysterious shots of the Getty Center that April took with her Diana and you can see how the camera’s limitations create magic. You can see more toy camera artistry in these prize-winning photos from the “Plastic Fantastic Show” at LightBox Gallery in Oregon. Thanks for sharing your images with us, April! I am assistant director, media relations. I joined the Getty in August 2006. I love being surrounded by visitors to the Getty, especially school groups, and it makes my day when I catch sight of deer as I head up the hill to work in the morning. I like her reflection in the lens and viewfinder. Absolutely amazing photo’s!!! 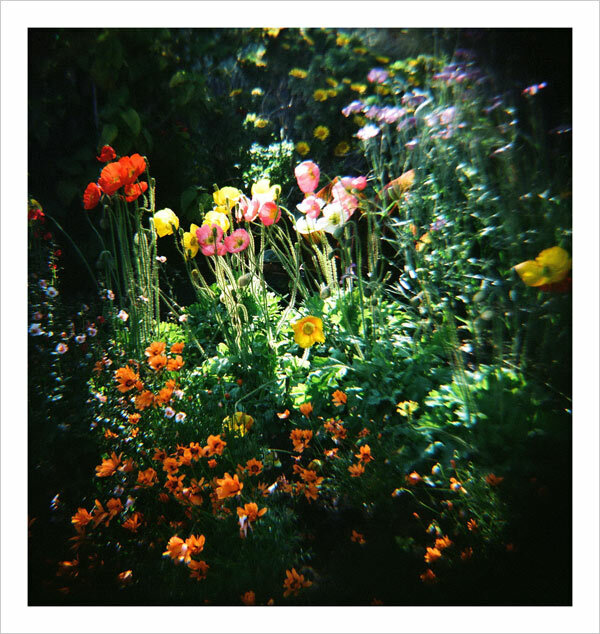 I took photos in the same flower garden last year, wish mine looked anything like this!!! Great work an thank you for sharing!!! WOW! These are gorgeous photos! April is so talented! Beautiful pictures!!!! Ditto on April’s talent!!! It is fun to see that, it is not the camera that makes the picture beautiful but in this case the woman behind it. April Rocha is a great witness to the world around her — I am a collector of her work, and, of course, a fan. Brava! These photos are absolutely amazing! Love April’s work! I love the black and white especially!!!! 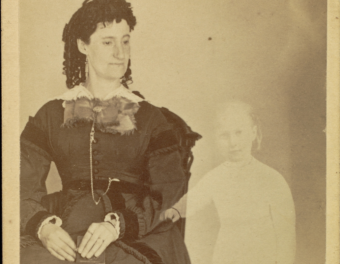 These photos show the Getty in a whole new light! I applaud you, Getty for featuring a new perspective and photographic artist. Thanks for sharing April. I took similar photos at the Getty just last week but they don’t look anything like yours. Wish I’d had the Diana Camera and your photo eye. OMG April! Just fell in love…..beautiful. So glad to see you guys bringing attention to images created with the Diana. i LOVE the ethereal quality of the work from these tools, and I LOVE LOVE LOVE April Rocha’s work. Very timeless. I love April’s eye. I’ve had the great fortune of learning from her many times. She is so talented and a true artist. Evidently a practical camera combined with a talented photographer who has a great eye…… The Getty should put her on staff! April Rocha has a very keen, lyrical eye. These are amazing! Wow! The images are absolutely breathtaking! 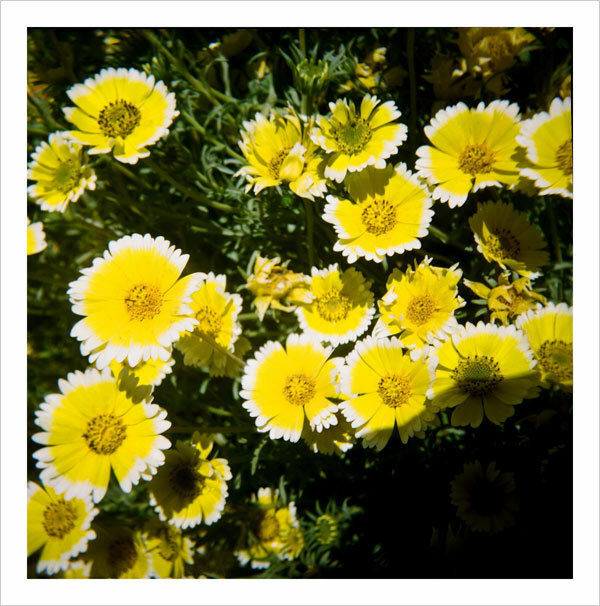 Although the floral subjects are beautiful, Ms. Rocha’s adeptness at using the Diana camera enhanced the images even more. I am in awe of the whimsical effect Ms. Rocha was able to achieve in her photos. Great work! Oh my… These are some of the best pictures I have ever seen. Who is this photographer. I must watch for her stuff again. Great photos! Where do I go to see more from this photographer? 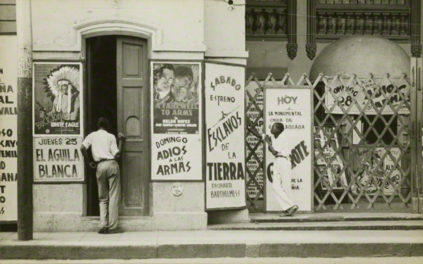 These images do have a vintage feel about them. They make me want to play in the Getty gardens. I love the top one the best. There’s a a beautiful simplicity about it. 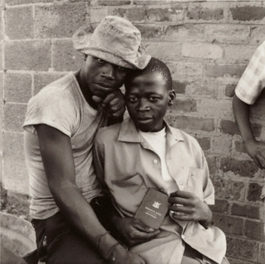 The photographer captures more than just the subject matter. She has an eye for composition, light and angles. Great work, great talent! I have been a Garden Designer for over twenty years. I am always searching out garden images, gardens, and species for my own pleasure and to be able to inspire my client’s. I came across Ms. Rocha’s work a few years ago when she photographed an old mansion in Los Angeles. Her use of the Diana Camera especially took my breathe away! Ms. Rocha also has a keen eye of landscapes with unique visual angles I do not usually see in photography. Have you seen her series of Santa Monica? I believe she has a photograph of the ferris wheel and a lifeguard station also photograped by the Diana Camera…You have this etheral feeling of years gone by sort of like the could have been taken on the set of “Summer of 42”!!! Put the right tool in the hands of an artist and look what you get! That first shot just glows! Are you selling the prints in the gift shop too? Hi Sandy — We’re so glad you like these photos! We don’t have these in the Museum Store, although we have a variety of nice garden and architecture shots on posters and postcards (albeit, created with a standard camera, of course!). 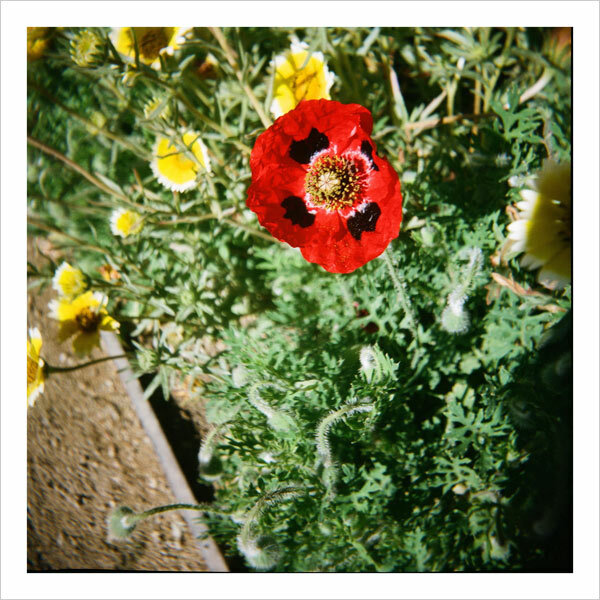 Wow…all those times I’ve taken photos at the Getty and not once did I think to use a Diana. Kudos to April Rocha, these are truly lovely and bring a whole new appreciation of the Getty grounds! April is so fabulous! I love her toy camera work. Gorgeous!!! I’ve been a fan of April’s work for quite a time now. These photos are beautiful and demonstrate what a great eye she has. What wikipedia sees as a low quality, crude and questionable toy camera has become a tool for beauty in the hands – and through the eyes – of a talented and creative photographer. The Getty Gardens have long been a favorite spot for me and it is great to see them in a whole new way. Agree with one of the earlier comments:would love to see some of these images for sale as cards – or whatever -in your gift shop. Thanks for sharing them. I live in San Francisco, but visit LA frequently. 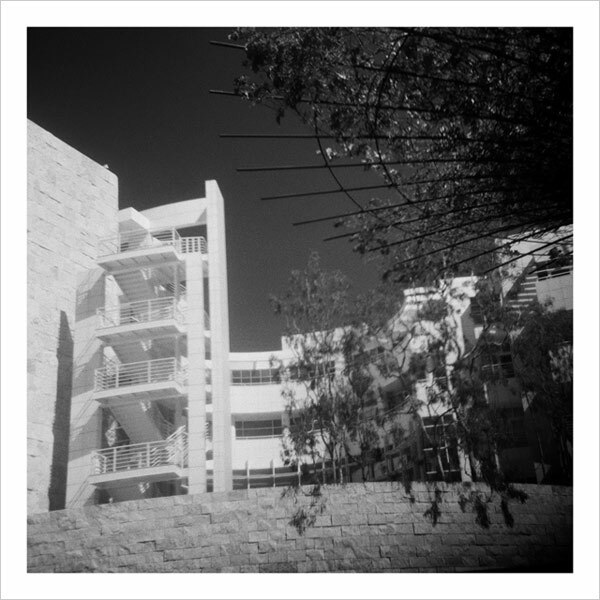 At times I drive and ultimately pass by the Getty museum. Family members and friends have visited although I have not yet had the pleasure. These images by acclaimed photo artist, April Rocha, are a testament to what a visionary can see through a cheap plastic lens. Thanks Getty and April for a very cool story. Your floral photos are gorgeous! The Getty representatives must be so proud of you taking a Getty Gift Shop item and producing such wonderful and stunning photos with great composition and light balance. Thank you April Rocha for doing just that. one of these neat little cameras myself. You’re an amazing talet, keep it up. Brilliant photos. I have been a fan of April’s for a long time. She captures light, shapes and composition with a creative eye. The Diana camera lends itself to her particular talents allowing her to creative her work with a whimsical style. Wonderful work. Congratulations to April and congratulations to the Getty for allowing her to have access to the gardens. I love these pictures. Especially the first bouquet. It should be a wall sized picture. Hi! Just wondering if the April shared where she gets her photos developed and if she requests to have them developed a certain way .